In 2011 Agder University Library (AUL) began our research support project. We saw that research support was carried out in different ways and was very dependent upon the liaison librarians. Also, the different faculties had different cultures when it came to use of the library. Our project’s main goal was to offer the same research support to all staff members in the university. Therefore, we decided that we shall contact all new academic staff members within a period of four weeks after they start working at the university. One of our ways of marketing this was making posters of each research librarian with bullet points of what they could ask the library, or the librarian about. This idea was inspired by an Erasmus stay at the Glucksman library at the University of Limerick in 2013. The posters were spread to new staff and displayed in the faculties and in the library. Our research support project was successful, and most researchers know what the library can offer. However, our user survey showed us that few students knew about our subject guides, or that there was in fact a liaison research librarian supporting their subject. We decided to market ourselves again. This time with a younger, more whimsical approach to engage the students. 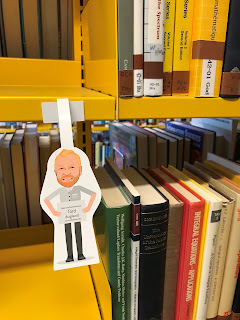 We had avatars of the research librarians made and displayed these in the library shelves. The avatars are holding a poster with their names and the web address for the subject guides. 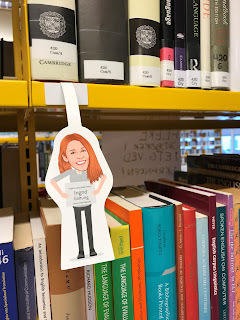 As we are a small library with a limited number of staff, we try to make the students self-sufficient and decided to market the subject guides more than putting up contact information to the librarians. 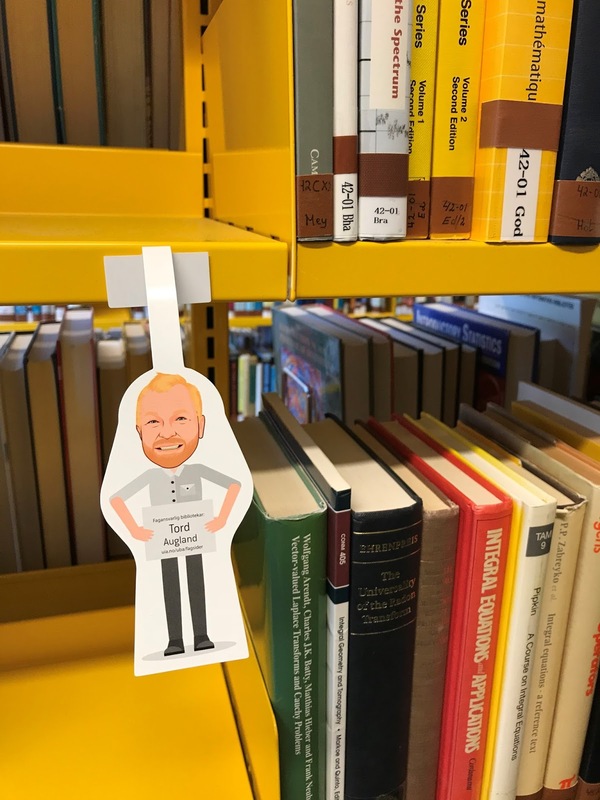 However, the website informs students that they can meet a research librarian in the help desk every day between 10 AM and 2 PM. 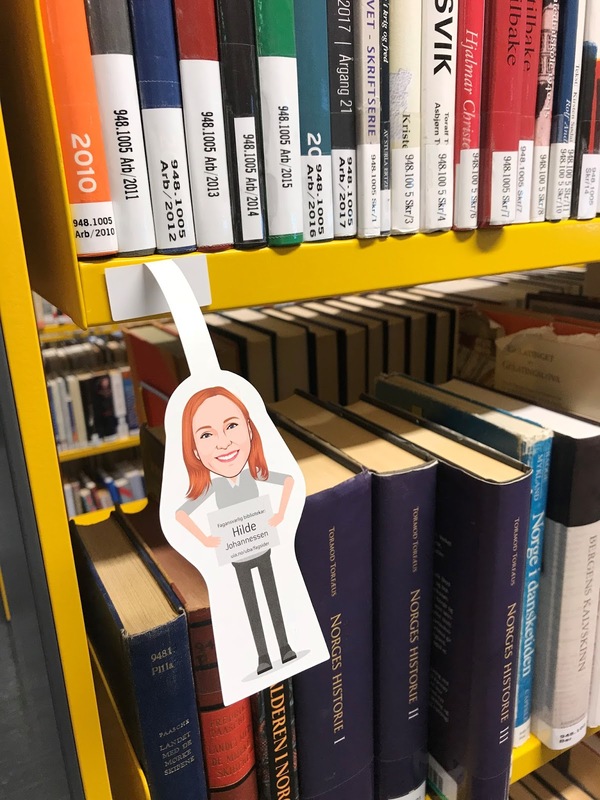 We are excited to see if this will generate more use of our subject guides, and are also thinking about campaigns we could use the avatars for, like selfies/shelfies with your librarian, find your librarian etc. Daland, Hidle, & Hidle, Kari-Mette Walmann. (2016). New roles for research librarians : Meeting the expectations for research support (Chandos information professional series). Cambridge, Mass: Chandos.